One of the country’s leading representatives of onshore and offshore oil and gas producers on regulatory matters, Glenn Benson brings more than 24 years of experience and an uncommon familiarity with the Federal Energy Regulatory Commission (FERC) to his role on the BakerHostetler national Energy Industry practice team. 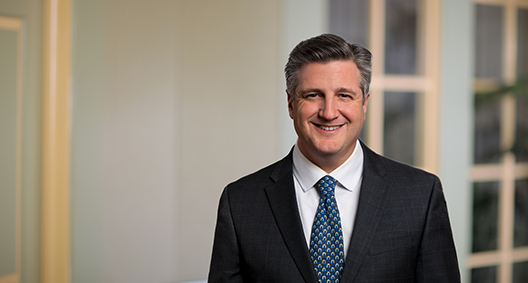 He counsels clients across the energy industry on tariff and contract disputes before FERC, regulatory compliance and enforcement, and the negotiation of commercial transactions, including power purchase agreements, interconnection agreements, pipeline precedent agreements, asset management agreements, and oil and gas purchase and sale agreements. Listed in The Best Lawyers in America since 2015 in the area of energy law, Glenn’s authority on nuanced litigation and complex energy policy issues has led to trusted positions advising and representing gas, electric and oil companies in every geographic region of the United States. It has also inspired a high-profile caseload: Glenn handled one of the first offshore natural gas pipeline open and nondiscriminatory access disputes before the U.S. Interior Department’s Bureau of Safety and Environmental Enforcement (BSEE). Representing merchant electric transmission developer in federal and state permitting processes, including both National Environmental Policy Act (NEPA) and California Environmental Quality Act (CEQA), for 900-mile, high-voltage electric transmission project crossing three states. Represents gas distribution companies, gas producers, gas marketers, independent power producers and power marketers in development and implementation of FERC compliance programs. Representing Peregrine Oil & Gas in litigation against Texas Eastern Transmission at FERC regarding violations of Sections 4 and 7 of the Natural Gas Act in connection with operation of the Cameron offshore gas pipeline system in the Gulf of Mexico. Represented Rice Energy Marketing in negotiation of long-term pipeline precedent agreement for 320,000 Dth/day of firm transportation capacity on Texas Eastern Transmission’s Access South Project. Represented Millennium Pipeline Company in obtaining FERC certificate of public convenience and necessity for, and developing, 443-mile interstate gas pipeline to serve markets in New York and New England, including coordination with three companion interstate pipeline projects. Represented Saddle Butte Pipeline Company in developing proposed 450-mile crude oil pipeline out of the Bakken in North Dakota to Clearbrook, Minnesota. Represented Atmos Gathering Company in developing proposed Straight Creek gathering system in eastern Kentucky. Represented Alliance Pipeline in developing 886.8 mile, 36-diameter interstate gas pipeline through North Dakota, Minnesota, Iowa,and Illinois. Represented Petal Gas Storage Company in obtaining certificates of public convenience and necessity for, and developing, natural gas storage projects and a 59-mile pipeline header in Mississippi. Represented gas marketing company in defending against FERC Office of Enforcement investigation for alleged market manipulation. Represented electric marketing company in defending against FERC Office of Enforcement investigation for alleged market manipulation. Represented interstate natural gas pipeline in defending against FERC Office of Enforcement investigation for alleged affiliate abuse. Represented gas marketer in FERC Office of Enforcement investigation of alleged violation of capacity release rules. Represented gas pipeline in FERC Office of Enforcement investigation of alleged violations of Section 7 of the Natural Gas Act. Represented BP Exploration (Alaska), Inc., before FERC, the United States Court of Appeals for the District of Columbia Circuit, and the Regulatory Commission of Alaska (RCA) in matters regarding the Trans Alaska Pipeline System’s Quality Bank methodology for compensating/charging shippers for any diminution/appreciation in value they incur/receive as a result of the commingling of various crude oil streams on the pipeline. Representing Peregrine Oil & Gas in litigation before BSEE against offshore natural gas pipeline involving violations of the open and nondiscriminatory access conditions under the Outer Continental Shelf Lands Act. Represented Rice Energy Marketing in pipeline rate cases of ANR Pipeline and Natural Gas Pipeline Company of America before FERC. Represented Rice Energy Marketing in complex multi-party settlement process to determine the terms by which Texas Eastern Transmission’s is permitted recovery of PCB remediation costs. Represented Alliance to Protect Nantucket Sound in litigation before the Massachusetts Department of Public Utilities regarding power purchase agreements of Cape Wind. Represented power marketers in litigation regarding PJM’s allocation of surplus marginal line loss revenues. Represented power marketers in litigation regarding the Midcontinent Independent System Operator’s allocation of Revenue Sufficiency Guarantee costs. Represented developer of landfill gas electric generation projects in southern California and Rhode Island in litigation over interconnection terms with Southern California Edison and ISO New England. Represented power marketers in litigation regarding the California Independent System Operator’s rules for convergence bidding. Represented petroleum refining and marketing companies in litigation before FERC and the D.C. Circuit over interstate oil pipeline rates of SFPP, LP. Represented municipal utility in PG&E rate cases before FERC. Represented refining and marketing companies in oil pipeline rate litigation before the California Public Utilities Commission. Represented Rice Energy Marketing in negotiation of long-term pipeline precedent agreement for 175,000 Dth/day of firm transportation capacity on Rockies Express Pipeline’s Zone 3 East-to-West Project. Represented Rice Energy Marketing in negotiating long-term pipeline precedent agreement for firm transportation capacity on the 3,250,000 Dth/day Rover Pipeline Project. Represent gas producers, gas marketers, gas-fired electric generation project developers and industrial end users in negotiation of asset management agreements. Represent gas producers, marketers and utilities in negotiation of gas purchase and sale agreements. Represented gas producer in negotiation of joint marketing agreement for Marcellus gas. Represented Rice Energy Marketing in negotiation of long-term pipeline precedent agreement for 50,000 Dth/day of firm transportation capacity on Texas Eastern Transmission’s Ohio Pipeline Energy Network (OPEN) Project. Represented Rice Energy Marketing in negotiation of long-term pipeline precedent agreement on Texas Eastern Transmission’s 425,000 Dth/day Uniontown to Gas City (U2GC) Project. Represented Rice Drilling B in negotiation of long-term pipeline precedent agreement on Texas Eastern Transmission’s 300,000 Dth/day TEAM South Project. Represented developer of landfill gas electric generation project in negotiating interconnection agreement with Southern California Edison. Represented Millennium Pipeline in negotiation of long-term pipeline precedent agreement with Consolidated Edison of New York, Inc. for 150,000 Dth/day of firm transportation capacity.